I currently hold 3 Chase business credit cards: Chase Ink Business Unlimited, Chase Ink Business Preferred, and the Chase Ink Business Cash. Each of these cards holds a place in my wallet for different reasons. 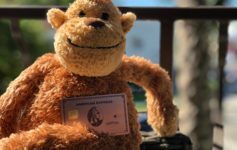 Understanding how you can utilize and take advantage of the perks and benefits of each card is the key to unlocking your travel dreams. I thought it’d be helpful to illustrate why I keep the Chase Ink Business Cash in my wallet and how it fits into my overall strategy. Out of the 5 reasons…none of them are the welcome offer, which is $500 or 50k Ultimate Rewards after $3k spend in 3 months. What benefits do you get with the card? Before we list them out, one thing to remember, and this is a constant on all Chase cards, is that you can transfer points between cards. Since the Ink Business Cash is technically a cashback card you’ll be earning rewards that can’t be transferred to Chase’s long list of transfer partners. However, if you’re like me and hold an Ink Business Preferred, or even a Chase Sapphire Preferred or Chase Sapphire Reserve, you can simply move your points into those accounts, and voila, they are transferrable into all wonderful partner programs. $500 Welcome Offer after spending $3k in 3 months after account opening. Earning 5x points on anything is downright delicious. The fact that its on office supply stores, cable, internet, etc is amazing. A lot of businesses, including mine, reward employees, or hold promotions where you can win gift cards as prizes. Office Supply stores often sell these and you can earn 5x points by purchasing them there. We all have phone bills, cable and internet charges, and this card presents a great way to get 5x points on those expenses as well. However, I would strongly recommend checking out the Ink Business Preferred for you phone charges as it provides complimentary Cell Phone Insurance. Having a card that facilitates earning at 5x and carries no fee is fantastic. While you need have opened fewer than 5 cards in the past 24 months in order to get approved, you aren’t adding to that number. This is great because it means you can add a great card to make business purchases with, but you aren’t precluding your eligibility to pick up another Chase card for your personal spend. Personally, I keep a Chase Sapphire Preferred as my premium Ultimate Reward earning personal card. As I mentioned up above, you can use this card in tandem with other Chase cards. If you carry a Chase Sapphire Preferred, Chase Sapphire Reserve, or an Ink Business Preferred, you suddenly have easy access to their transfer partners simply by moving points into the corresponding account. Utilizing those transfer partners is how I’ve been able to fly in such insane cabins like Lufthansa First Class, Singapore Suites, EVA Royal Laurel, the list goes on and on. Chase is business friendly. So if you like to buy and resell on Ebay, or maybe you tutor people, consult, or write a blog like Miles, you could have a small business on your hands and not even know it. It’s very beneficial to segregate expenses, and carrying a no fee card that earns 5x points on many popular categories makes a lot of sense. Earning Ultimate Rewards will undoubtedly get you closer to visiting those bucket list destinations in style. I’ve utilized Ultimate Rewards countless times to get flat on my back with some champagne over my head, or in uber posh hotels like the Park Hyatt Vienna.